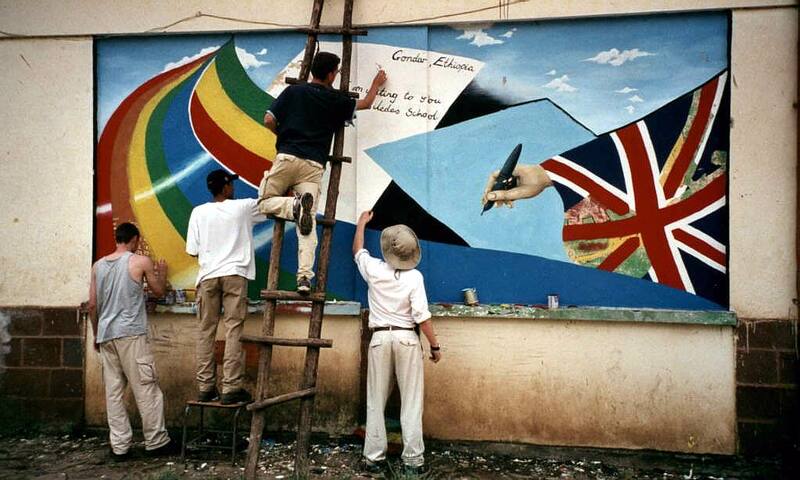 Back in 1996, when Link Ethiopia began as the first UK – Ethiopia school link, known in those days as GondarLink, there was a simple aim and ethos. We knew that students at Dr. Challoner’s Grammar School and those at Fasilides Secondary School in Gondar would greatly benefit from working together and learning from one another. Fast forward 20 years and this grassroots mentality still guides our work today. After many successes and a whole lot of learning along the way our programmes may have grown to take in hundreds of schools and tens of thousands of young people but we still keep collaboration and partnership at the core. 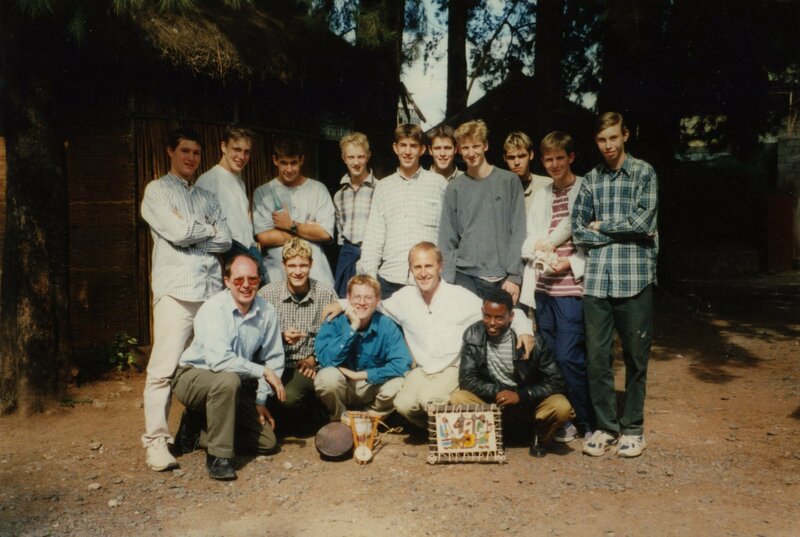 Link Ethiopia, originally GondarLink, was formed as the first full and official school link between an English and Ethiopian secondary school. Ed Bratton and Sam Grundy became the first two Gap Year students to visit Gondar with Link Ethiopia! They spent a number of months teaching and working in Fasilides Preparatory School. 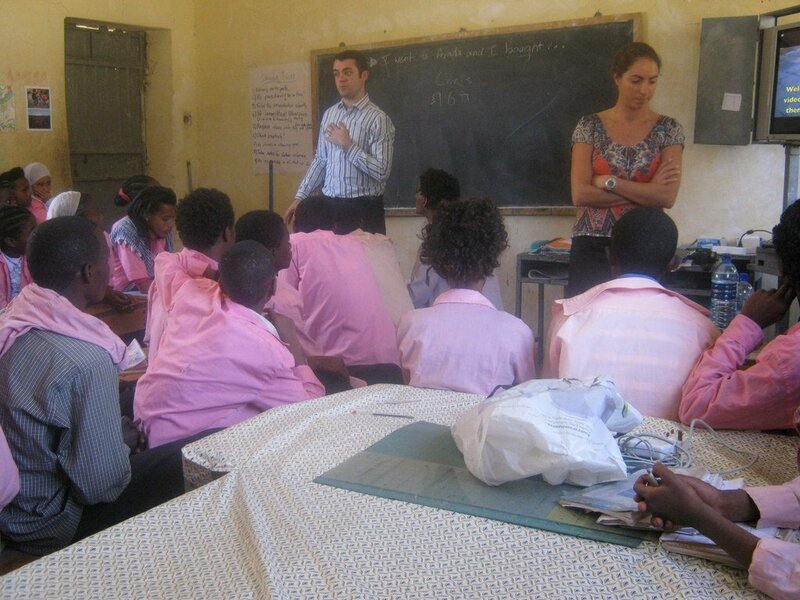 12 student pioneers took part in the first group visit to Fasilides School in Gondar. We committed £20,000 towards the construction of a brand new lecture hall at Fasilides Preparatory School in Gondar – the first of many infrastructure projects that we have funded. 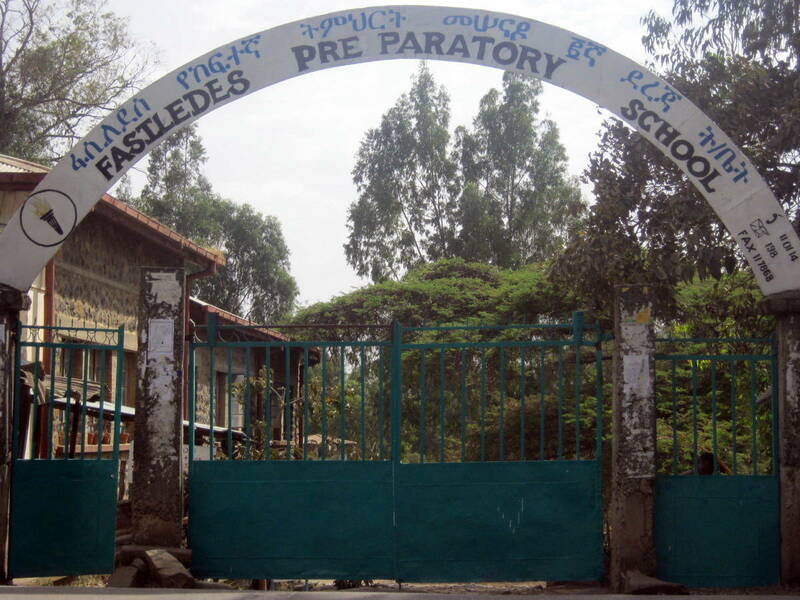 Brushwood Primary School in Chesham – Meseret Elementary in Gondar. Another major project at Fasilides Preparatory – a fully-equipped resource for teachers to utilise – improving the quality of education for thousands of students. Bike Ethiopia – cycling from the UK to Ethiopia! Paul Testa & Kate Williams cycled for 7 months, from Amersham in the UK to Gondar, Northern Ethiopia, raising nearly £13,000! Belayneh Shewaye joins us to manage our growing school operations in Gondar. 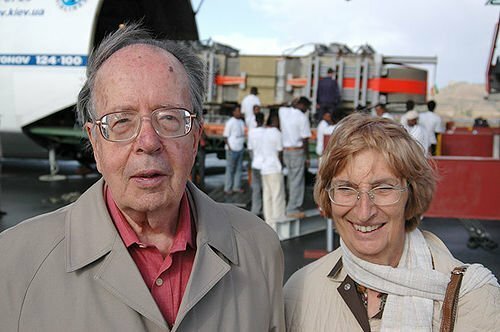 Their names are known and appreciated throughout the length and breadth of Ethiopia as enthusiastic guardians of the nation’s history. First UK staff and office! Matt Stockdale joined the charity full-time to oversee our fundraising, operations and growing network. 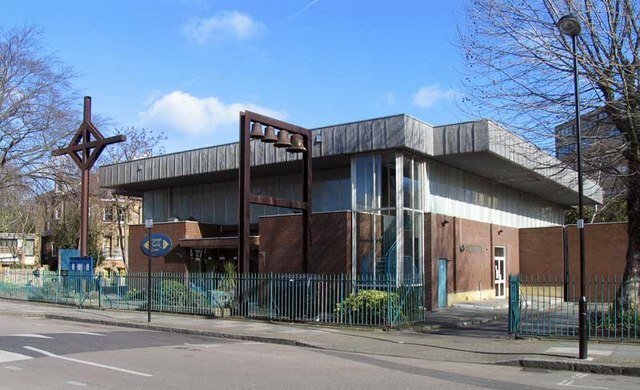 He and volunteers moved into Link Ethiopia’s first UK office (St George Church, Tufnell Park, London). The first students were enrolled in our new Child Sponsorship scheme – supporting vulnerable & disadvantaged children to stay in school. Five teachers from three UK schools visited their link schools in Ethiopia (Backwell Secondary, Dr. Challoner’s Grammar and Gayhurst Primary). A teacher and a pupil from Chechela Elementary School in Gondar visited their UK link school, Lambton Primary in County Durham. Our range of education programmes expand outside the Amhara region for the first time. Firew Tilahun joined our team to oversee our projects in Addis Ababa and the Oromia region, based in Bishoftu (formerly known as Debre Zeit). Twenty students from the Misbourne School visited Azezo Secondary School in October 2009. Students spent time with their Ethiopian peers, helped paint a classroom wall and took part in various classroom activities. 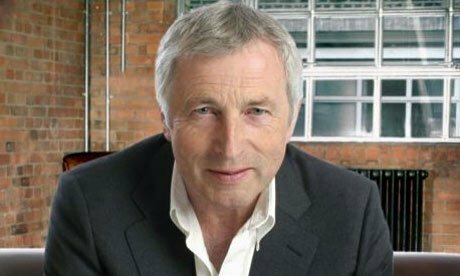 We were honoured when Jonathan Dimbleby, one of Britain’s best known broadcasters, joined as our patron. Link Ethiopia hosted our first annual conferences for UK teachers (in London and Manchester) as well as our regular annual conferences in the North and South of Ethiopia. 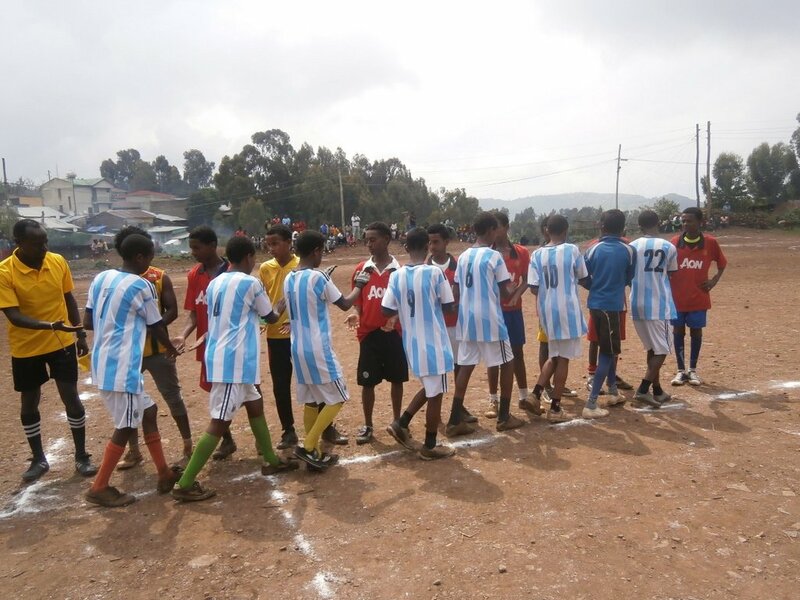 Link Ethiopia was awarded a two-year grant to set up and run a sports initiative across 14 schools in the Amhara and Oromia regions. 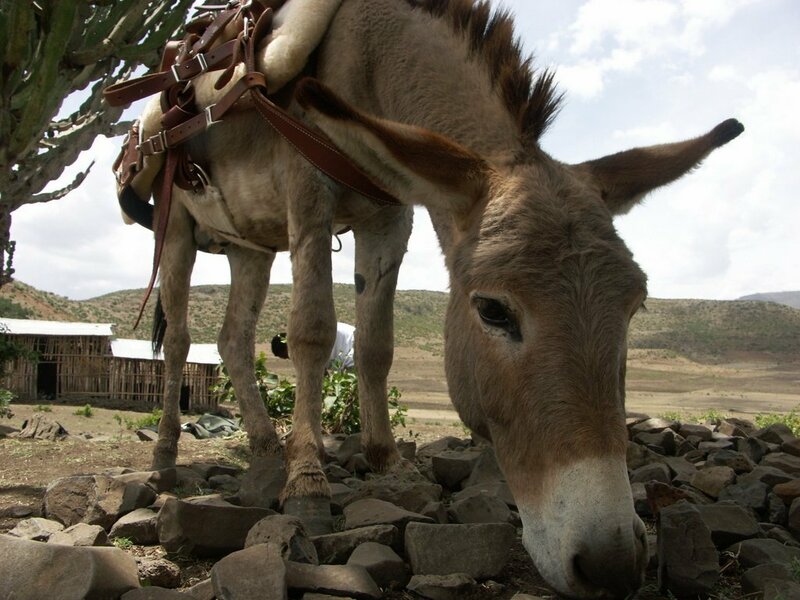 A generous donation from one of our long-term supporters has helped us to start a donkey library in Dembia Zuria, south of Gondar town. 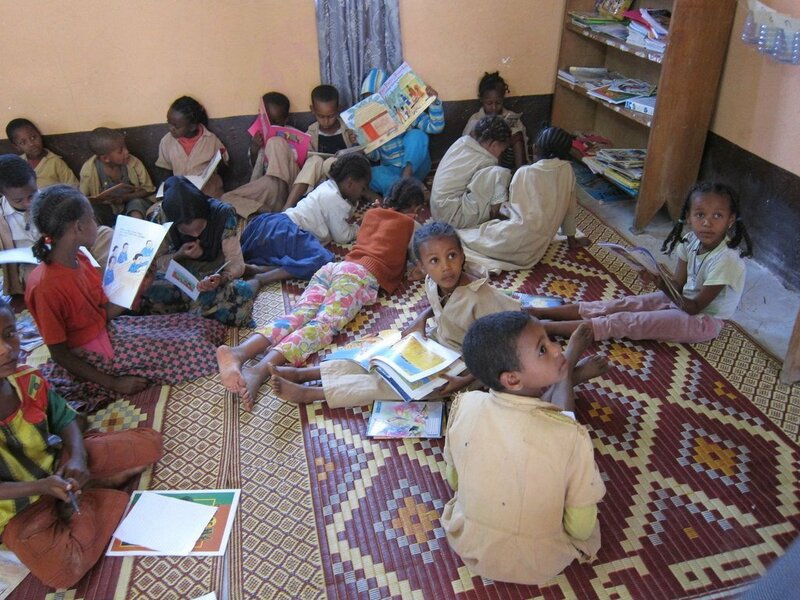 The donkey and the librarian take books to six rural satellite schools, reaching more than 4,000 children. This is the first of several donkey libraries that we go on to set up. The first of a multi-year project to improve student literacy in our partner schools. Funding for this project comes from The Waterloo Foundation, our UK Link schools and our Sponsorship programme. We began the delivery of a two-year project to make inclusive education possible for hundreds of Ethiopian students with disabilities. St George’s School – a joint project with Broomwood Hall School – opened its doors for the first time to 100 local orphaned and vulnerable children from Azezo in Gondar, Ethiopia! 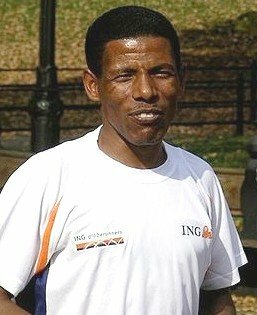 Olympic gold-winning long-distance runner and Ethiopian businessman Haile Gebrselassie joins us as a dedicated patron. Our 20 year anniversary is celebrated with a parade in Ethiopia. 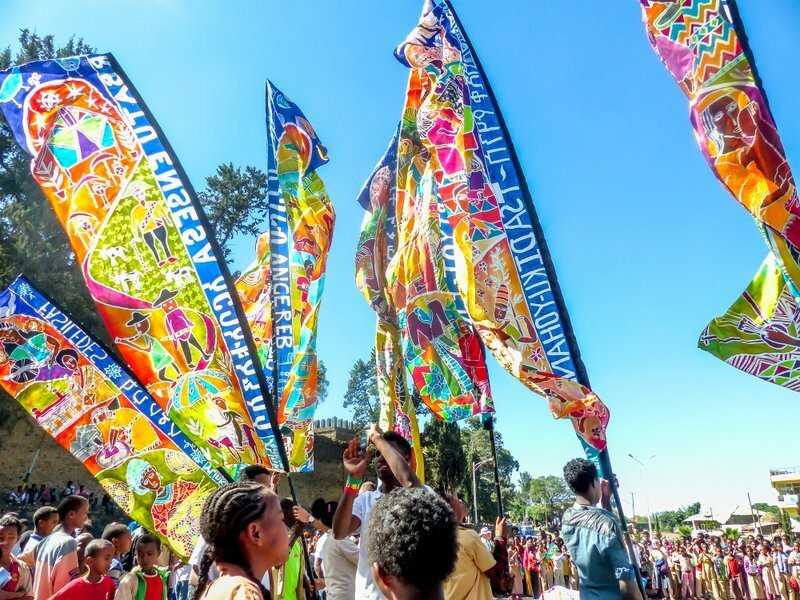 The parade shows off silk flags made by 20 schools from Ethiopia and the UK. We revised our approach on how to support girls and girls’ education. Since then we have started a variety of girls’ education focussed programmes including income generating activities for parents of girls who are at risk of dropping out of school. 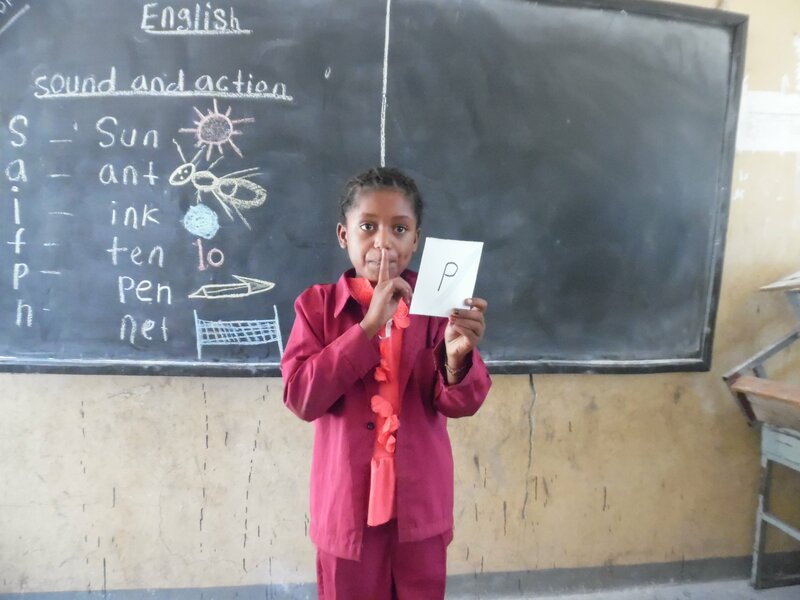 We scale up our Literacy programme in collaboration with the Gondar Education Office with the aim of changing the school curriculum to include phonics in English language teaching across the Amhara region. We hold a 10k run in Gondar to promote the importance of girls’ education. 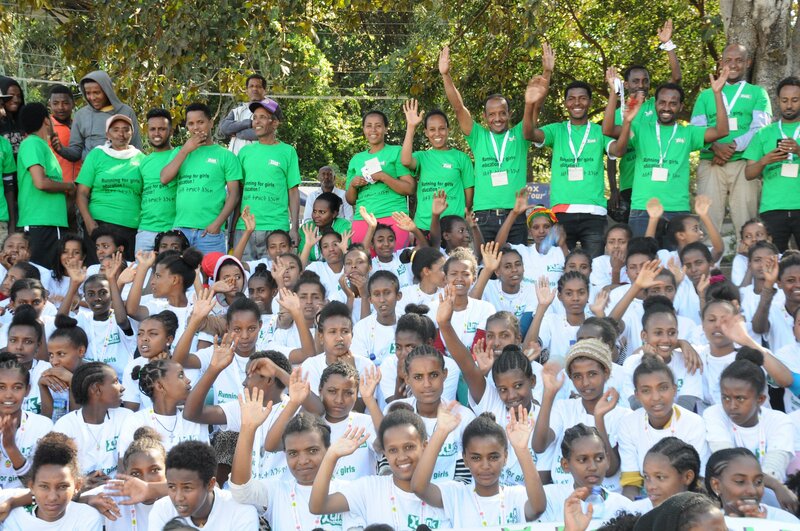 The event involves the Mayor of Gondar, 6 professional runners and over 200 girls.